Federal Non-Typical 270 Winchester Ammo 130 Grain Soft Point for sale online at cheap discount prices with free shipping available on bulk 270 Winchester ammunition only at our online store TargetSportsUSA.com. Target Sports USA carries the entire line of Federal Non-Typical Ammo for sale online with free shipping on bulk ammo including this Federal Non-Typical 270 Winchester Ammo 130 Grain Soft Point. 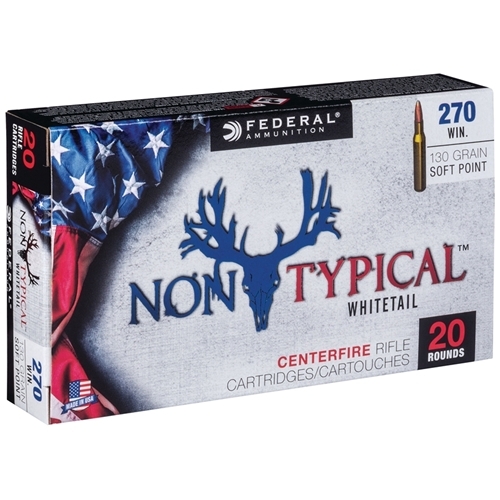 Federal Non-Typical 270 Winchester Ammo 130 Grain Soft Point review offers the following information: Federal Non-Typical ammunition offers shooters force and accuracy unmatched by any other bullet in its class. This Federal Non-Typical 270 Winchester ammunition is loaded with a 130 Grain Soft Point bullet. This high grade ammo is designed to be the perfect option for whitetail deer hunting, or for any medium to large sized game hunting. It boasts a concentric jacket that allows the bullet to pack a bigger punch, making it a consistently dependable deer hunting option that is exceptionally lethal. The Soft Point bullet is the perfect design for use in tubular magazines of your favorite 30-06 Springfield rifle. Federal Non-Typical ammunition has a muzzle velocity of 3060 feet per second and a muzzle energy of 2703 foot pounds, making this 130 grain soft point ammo the perfect choice for medium to large game hunting. Federal designed the Non-Typical 270 Winchester ammo to be new production, non-corrosive ammo that features brass cases and boxer primer which can be reloaded. Federal Non-Typical ammo is packaged in a box of 20 rounds or a case of 200 rounds for your convenience and is the perfect choice for an accurate and lethal shot! When it comes to hunting, Federal’s Non-Typical ammo has top of the line technology that can be relied on to get the job done. Federal Non-Typical ammunition has a muzzle velocity of 3060 feet per second and a muzzle energy of 2703 foot pounds. 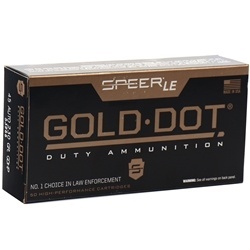 This 130 grain soft point ammo is the perfect choice for medium to large game hunting. Federal designed the Non-Typical 270 Winchester ammo to be new production, non-corrosive ammo that features brass cases and boxer primer which can be reloaded. Muzzle Energy 2703 ft. lbs.